So we are well into our New Orleans adventure and we thought it the perfect time to share a snippet of some of the best things we’ve encountered so far … and what better topic to discuss than food? So here it is, our favorite, most delectable menu items so far! It just so happens that both of our favorite items can be found at famous French Quarter restaurant Bourbon House. The waitstaff at this restaurant was exceptional – attentive, friendly and helpful. We even got a prime seat by the window which allowed us to “people watch” visitors along Bourbon Street. 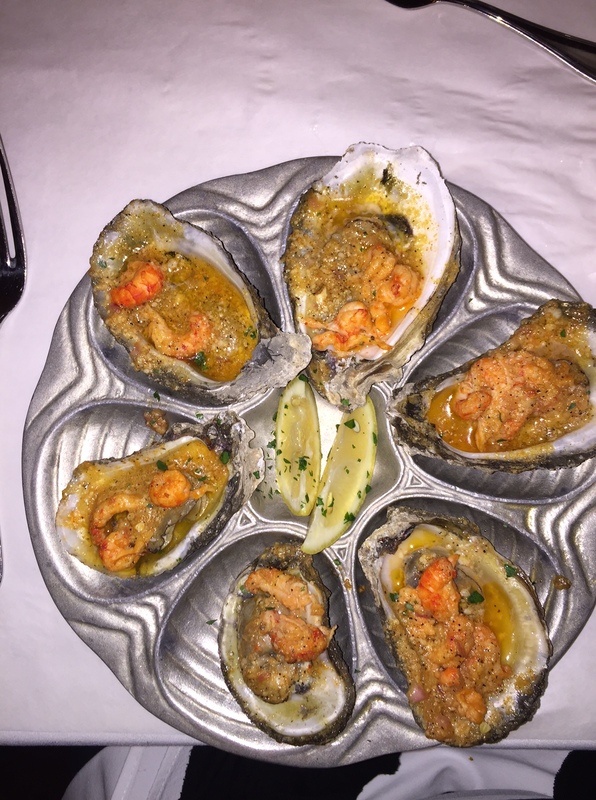 Charbroiled oysters with crawfish tails (Kim’s pick) – charbroiled oysters are cooked with butter, garlic, seasonings and cheese. Bourbon House’s charbroiled oysters hit the mark and beyond. They weren’t chewy – tender, yet firm. They were cooked, but not overcooked. Let’s just say they were just right. And well, frankly, you’d have to try a few that weren’t right to appreciate an oyster cooked just right. The charbroiled oysters by themselves were a standout, but if you’re willing to spend the extra $10 and if they’re in season, the crawfish tails are the icing on the cake. I enjoy raw, fried, charbroiled and chargrilled oysters and the oysters at Bourbon House rank up there with the best. Bourbon Milk Punch (Val’s pick) – Bourbon House’s signature drink is heaven in a glass, well that is if you enjoy brown liquor and sweet ice cream as much as me. It’s rare for a cocktail to have a nice balance of sweet and not-so-sweet. 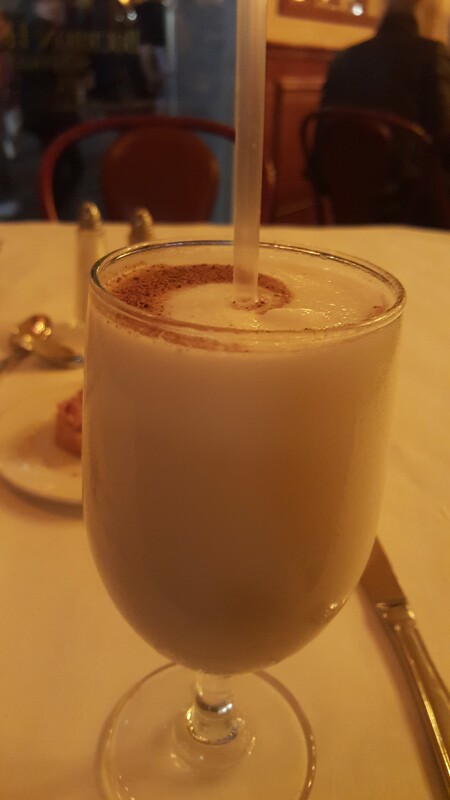 Bourbon House gets it right with the popular Bourbon Milk Punch. Think of a milkshake blended with whiskey. That’s exactly what this drink is; topped with an assortment of spices. It’s sweet with a strong kick at the end. And it’s good…really good. They say imitation is the best form of flattery and though there’s a lot of imposters out there, Bourbon House has the best recipe. Don’t just take our word for it. Go try these menu items yourself. And tell them 2 Girls Who Travel sent you! Previous postNext Stop: NOLA, Baby!